Photo: Mountain Springs Canyon, at the Mammoth Mine, Argus Mountains. Carl Purpus, Plant Collector in Western America Mountain Springs Canyon, at the Mammoth Mine, Argus Mountains. 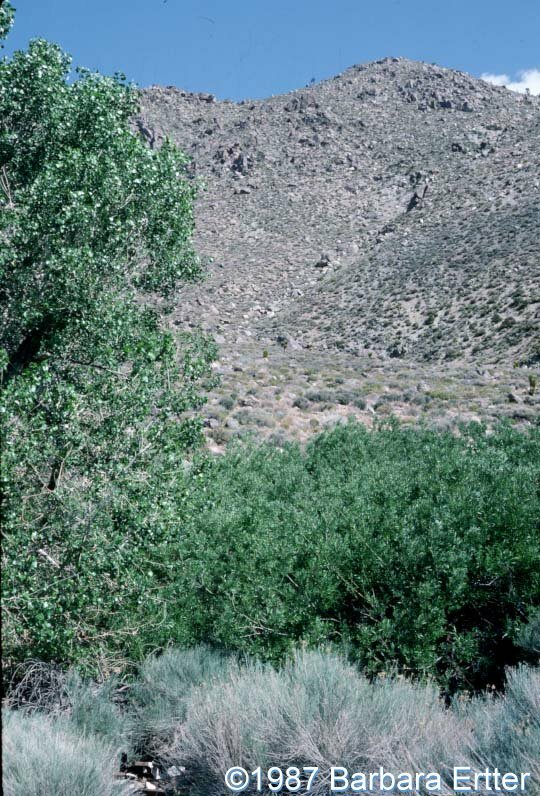 Mountain Springs Canyon, Inyo County, California.